Trump also warned the accord would allow India to double coal output and China to boost demand while punishing the U.S. for both. But there’s little desire — because of cheap natural gas, not politics — to use more coal at home. With or without the Paris agreement, market forces are turning a meaningful return of America’s coal production, coal-fired power plants and mining jobs into an insurmountable task. In 2008, the U.S. produced a record 1.2 billion tons of coal and the fossil fuel was burned to generate about half of U.S. electricity. 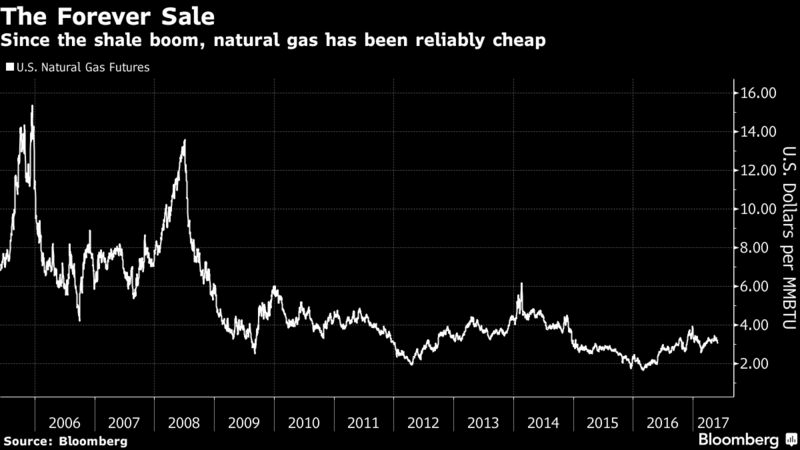 Then came the shale boom, unlocking a flood of cheap and cleaner-burning natural gas. Since then, U.S. power generators have increased their use of gas — and renewables — to the point where gas is now the country’s dominant power-plant fuel. Meanwhile, overall electricity demand has stopped growing as Americans use energy more efficiently. For the Tennessee Valley Authority, economics explain the trend. The government-owned power provider, created by Congress in 1933, has long relied on coal. In recent decades, it hasn’t bought the coal from Appalachia — once home to tens of thousands of coal jobs — but from the Powder River Basin of Wyoming and Montana. Out West, the giant, open-pit mines use hulking excavators and require vastly fewer coal workers than in Appalachia. TVA has plans to retire about half its remaining coal fleet by the end of 2018 — and replacing that electricity with facilities running on gas, nuclear and renewables. But the new mines that have opened in Appalachia — including in southern West Virginia, the epicenter of the industry’s bust — chiefly produce metallurgical coal, which accounts for a small portion of overall output and is used in the steelmaking process, not power generation. That commodity more than tripled in value after China curtailed its own production and surged again this spring after Tropical Cyclone Debbie hammered Australia’s coast, disrupting global supplies. There has, of course, been a boom in energy jobs — in gas, wind and solar. 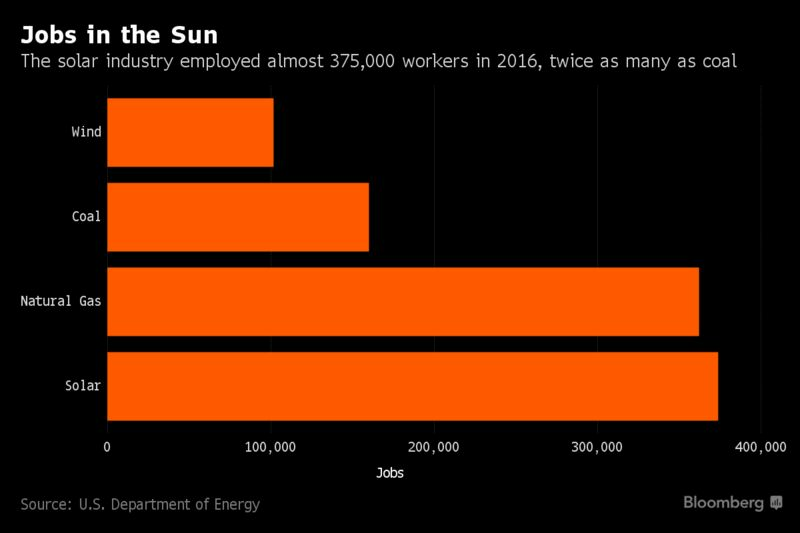 The electric power industry’s transition away from coal has created hundreds of thousands of jobs in renewables, making solar companies the largest employer, with twice as many workers as coal, according to the U.S. Energy Department.